You are reading Network Marketing Transformation Read more from this series of articles. The first puzzle piece as it relates to totally transforming your network marketing business. Last time we discussed the importance of getting the right frame of mind. It’s a mindset of helping others first before you start to pitch your business. Because no one likes to be sold or convinced or persuaded. You learned that genuinely helping people first is a strategy for reversing the prospect chase. So that prospects will come to you and join you in your business. But even if they don’t join you in your business, you can earn a profit from them. If you haven’t read lesson 1 in this series, you can here. Stop the promotion of your network marketing business first and only. Allow yourself to help people with no other intentions. Taking this approach is more of a consultative approach. It’s not all “join my MLM.” In fact, seldom will someone join you right away with this approach. Sometimes it happens sooner than later. Other times it never happens. Don’t hide your MLM either. Invite them to watch your online business opportunity presentation. Ask them if you may send them your link. Let the situation determine itself. If you’re truly listening and offering to genuinely help you will know the right thing to do. The main thing is to listen to their needs. Determine how you can help them. 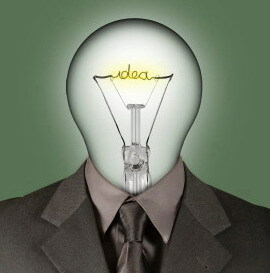 Sometimes there will be another way to monetize that prospect or lead if they don’t join your business. It could be an affiliate product. It might be that you charge for your time. 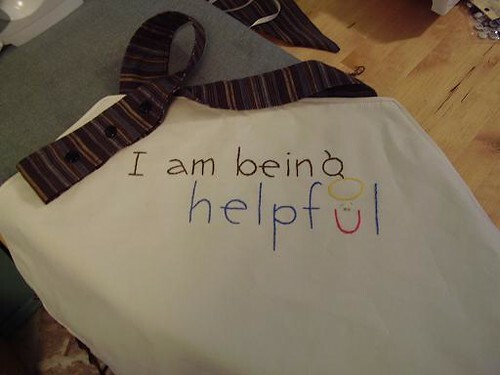 Or perhaps you simply help that person and they refer someone your way later. Simply gaining their positive attention is a great first step toward planting a seed in their mind about who you are. You’re sewing goodwill. Do this with enough people and consistently over time, and you will have people coming to you. They will ask about what you’re doing. This can be done automatically with autoresponder follow up emails too. If you’re writing people off once they say “No” to your opportunity, you’re not only leaving a lot of money on the table, you’re not operating from a successful business philosophy. Offer suggestions based on the persons’ situation whether they join you or not. Make some suggestions that might have them spending some money if it’s right for them. This must be genuine. It’s also a good idea to add your own value to your suggestion. For example, when I speak with a lead on the phone and refer someone to The Renegade Network Marketer, I follow up 24-48 hours later. This is “doable” for you. Use The Renegade or whatever resource it is just as a conduit that facilitates the budding relationship. Insert as much “you” as appropriate. The more experience you get with this, the more natural it will be. Handing out or dropping business cards. These methods will work if you practice and master them. Each of the above are inefficient. They do not allow you to leverage technology or leverage your efforts. And they require a lot of manual labor. On average these methods do not yield a high return on your time and energy investment. Work Smart Instead Of Hard. If our goal is to truly transform your network marketing business, we’re going to have to invest our time into strategies that can be leveraged over a long period of time in an exponential manner. Let me give you a technique to stop promoting your business first (because this can feel awkward at first like you’re not doing enough — relax with this). You truly offer nothing of value by saying that your company is the most amazing thing since sliced bread. People don’t care about your starship commander bonus that is paid every blue moon to the cadet with the highest gross sales. People don’t care if your product is a miracle juice made from a glow in the dark berry found in a rare mushroom fungus forged out of meteor rock at the bottom of the sea. No matter how unique you think your pitch is, your prospect has heard it 10,000 times already. Most people aren’t looking for a network marketing business. Not directly (I’ll explain what I mean by that in our next post in this series). Besides, most already have a network marketing business. The answer is simple. I sorta alluded to it early when I mentioned The Renegade Network Marketer. You MUST Offer Your Potential Business Partner Something Of Value First. People don’t want to hear about your business unless they ask. They want to learn about building a successful business. So that is what you should be leading with – valuable information that will help them do just that. If I’m your prospect and I have no idea about anything when it comes to running a network marketing business, do you really think that telling me your business is best is going to make me want to join? The answer has proven -9 times out of 10- to be No. That’s all I have for you today, but it’s crucial! We’ll tackle the next puzzle piece in part 3 of this network marketing transformation series. Well, there is really only one course that comes to mind (it’s not just a course, it’s an entire lead generating system). This is the course that has truly made a difference for over 250,000 network marketers. For many, after reading The Renegade it was the day they decided to reverse engineer what all the top earners were doing to build their network marketing businesses. In almost every case, they were MLMers who had NOT grasped this concept of giving value first without pitching first. As the cliche goes, the rest was history. The Renegade Network Marketer will teach you how to quality leads, and how to earn commissions even if they don’t join my primary business. Plus, it comes with all the tools needed for you to start generating leads for your business from day one. You will have your own back office to monitor your leads and commissions. Click the banner (below) to watch Ann Sieg’s video about how to succeed in network marketing by burning names list, ditching the “Thursday night” home party, and never paying for another opportunity lead again. Like most people, she spent many frustrating years recruiting friends and family, attending meetings, and calling opportunity leads. After going into debt and watching her husband lose his income, she knew she had to try something different. This was THE “inciting incident” that birthed The Renegade. What Does Building YOUR Business Have To Do With Selling MY Product? 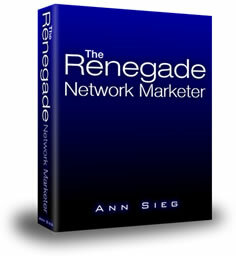 How Does The Renegade Network Marketer Help Me Recruit People Into My MLM? Ann, thank you? for such good advices. I also had experienced, that when I jusy help people, but not hide info about my MLM opportunity or products, people ask me by themselves and join without any questions. This is great, and one of the secrets of MLM to many people. Ok I get that I need to help people, BUT where do I find these people? WHAT ARE SOME SITES TO PLACE ADS?